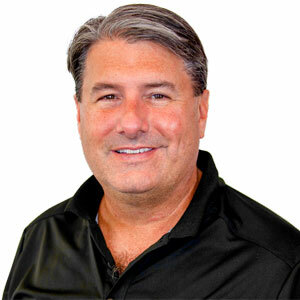 Patrick Harr, CEO For industry veteran Patrick Harr, there were several tech milestones that marked a sense of direction in his mind when he joined Panzura as its CEO. The company was at an inflection point in its growth—timed with what Patrick and the company saw from a market trend standpoint as decisive. Customers had more data than they could handle, were rapidly moving to the cloud, and were constantly on the lookout to make the most of that ecosystem. As a cloud and storage veteran from both large and small companies, Patrick realized that the company could leverage its strong foundation in data management and inject additional experts across storage, cloud, machine learning and data science to capitalize on these trends. Armed with both direction and the right people for the job, Panzura has come into its own to enable the enterprise to realize what Pat Gelsinger called the year of the multi-cloud. The solutions that Panzura thus forged were originally designed to help customers integrate and use the cloud for file storage and collaboration, while still delivering the performance capabilities of the data centre. Today, their range has evolved, setting the precedent on which the enterprise will leverage multi-cloud data management. The trends that set the tone and the market opportunity in the landscape for Panzura were brought on by the commonness of data migration to the cloud. Customers were shifting to the cloud strategically, not just on an experimental basis, but to explore it exponentially. They wanted to exploit its speed, agility, and economics, leading a significant push forward for a growing adoption of services like AWS, Azure, and Google. Cloud services offer a more effective alternative to traditional ways of storing and managing data in the data centre, something fuelled predominantly by machines, servers, and their related applications. The content formed by the likes of 3D images, IoT, and 4K videos—in turn gently nudging the scales on an obese legacy file infrastructures. The old NAS infrastructures were built 20-30 years earlier, primarily for establishing data resilience. In a data centre, legacy data management would demand that users replicate that file system, backup that data, archive that data to tape, or copy that data to another data centre. This overall would create quite a complex and costly infrastructure, magnified further by this tremendous growth in unstructured data, which cannot be scaled further. Thus lead the movement toward storing and managing data in a new hybrid and multi-cloud approach —the superset of the hybrid cloud, which encompasses data centres and multiple clouds as well. With a recent IDC report stating that 86 percent of customers are using two or more clouds, not wanting to be locked into a single vendor, enterprise customers have always faced the choice of a single vendor vs. a best of breed approach. This used to be a limit imposed by the boundaries of a more primitive cloud, now boldly outgrown by the multi-cloud approach with its flexibility and versatile use of multiple cloud services at once. A multi-cloud data management platform, Panzura’s portfolio includes two specific solutions that have measured the gravity of those trends. Panzura’s Freedom cloud NAS is a multi-cloud file services solution which, in place of traditional, legacy NAS, moves data into a cloud—private or public—helping the enterprise save about 70 percent of running cost and hardware versus traditional storage. The software-defined filter is focused on how users can effectively drive high-performance file services to object or cloud storage, and also reduce about 90 percent of the file infrastructure in the data centre, powered with their proprietary CloudFS. This revolutionary new distributed global cloud file system helps to deal with the exponential growth in unstructured data in a scalable, cost-effective manner without creating multiple copies sprawled across multiple different data islands, opening up a lot of speed, agility, business value for the customer. 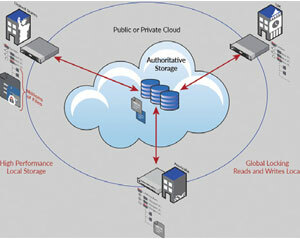 On the Freedom Filer, data is stored as a single source of truth in the cloud, becoming the authoritative version of that data to then effectively cache the active data set at the edge—the edge is the data centre, or another cloud—where one can run an instance as an ESX in the data centre, or as an AMI inside of Amazon or on Azure or Google. Additionally, Panzura provides the ability to collaborate on data in real time globally, with a “by range file locking.” system, rendering the ability to avoid collision and creating corruption on the file. Subsequently, when multiple users access the same file, CloudFS can lock that file and give that single source identity for that file, sidestepping reduplication. Beyond this, one logical question would be: “What may be done with the data, once it is on the cloud?” The answer is Panzura’s Vizion.ai SaaS solution, the jewel of their presentation at VMworld 2018—designed to give a single unified view of the data across the enterprise and across multiple clouds. Vizion. ai provides powerful elastic search, machine-learning analytics for things such as cost optimizing cloud storage and control of data, not just on one cloud, but across multiple clouds. Thus for the first time, users can virtually consolidate data from multiple filers–from NetApp to EMC to Windows to Panzura–and SaaS applications into Vizion.ai to perform metadata search to find data quickly. The average 1,000 person company spends $2.5M trying to find data annually according to IDC, making this a highly valuable productivity tool. The ability to control where that data moves, say from a GDPR perspective, is also extremely viable. Users can move the data seamlessly across geographical location, while also giving them the ability to restore and clone data, not only on one cloud, but across any such cloud of their choosing, and make use of the machine learning service in that particular cloud. The Vizion.ai platform is a significant step forward for customers. The word Vizion came from a simple focus on providing a single, unified vision into your data across your enterprise and clouds. “I try to inject a very competitive spirit into the team, by bringing the best and brightest into the company across disciplines and, in turn, put fun, challenging competitions in place to innovate for our customers.” In this pursuit, Panzura looks not only in Silicon Valley but also for some of the best minds around the world. Panzura has a global development footprint that truly spans the globe, in Europe, the U.S., and the APAC. "The word Vision came from a simple focus on providing a single, unified vision into your data across your enterprise and clouds"
Their guiding principles dictate that innovation is key, a statement that is written on the board outside their office wall, to always stay ahead of the curve. Teams of engineers work with clients to understand their core needs and apply a customer-first perspective to their work, not only from an engineering standpoint but from a support perspective as well. With a net promoter score of 83, which is one of the highest in the industry, Panzura has done exceptionally well in terms of customer quality and satisfaction reflected in their focus on customer support. Having just closed their Q3 quarter on July 31st, the company is up 100 percent from a year ago. What Panzura is today is reflective of all the hard work that Patrick and his team have done to get them there, poised on the verge of something special, to be the leader in multi-cloud data management and to excel in the years to come.